Flags were ordered flown at half mast by mayor James Rolph in San Francisco on Sunday, December 5, 1915, the day after the Panama Pacific International Exposition closed. The 635-acre site for the exposition had been leased from a variety of owners and immediate restitution of the land was necessary. In three months (a record for the dismantling of an Exposition) the site had been cleared. While physical remains of the fair are few, it is fortunate that some buildings and decorative elements have been preserved in the Bay area. This brochure contains a list of buildings, art, parks and collections that are associated with the Panama-Pacific International Exposition. 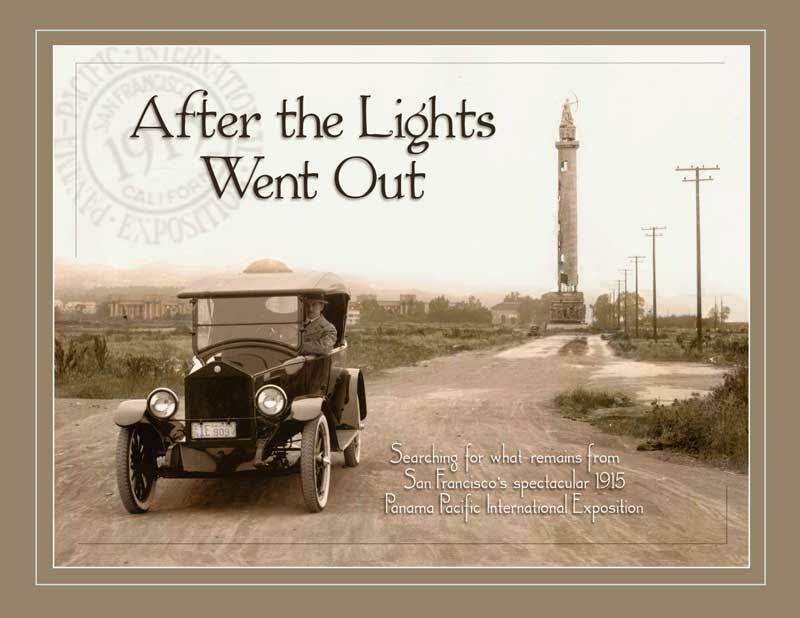 2015 marks the 100th anniversary of the Panama-Pacific International Exposition (PPIE), the World’s Fair celebrating the completion of the Panama Canal and showcasing San Francisco’s recovery from the devastation of the 1906 earthquake and fire and its emergence as a global city. Join us at exhibitions, performances and events throughout the year as we celebrate this momentous occasion and imagine the future of the City. Use this guide to explore and view some of the wonderful artifacts which still exist 100 years after San Francisco’s Panama-Pacific International Exposition.